The common notion is that windows are only meant to bring in light. You will be surprised to learn that that is only a fraction of what windows can do to your house. 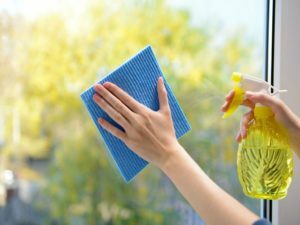 This is why it is important to hire a professional home cleaning service that offers window cleaning services, like Kitsap Cleaners to maintain they remain clean and clear throughout the year. Windows accumulate dust naturally because of electrostatic current on the surface. When there is moisture and it falls on the surface, the mixture turns into mud. This will affect the ambiance of your house. It will also be difficult to view the world through a clear lens. Let’s look at the benefits of having a clean window all the time. Clean windows allow UV light to get naturally and directly into your house. There is scientific evidence that natural light offers incredible benefits to the body. While direct exposure is not always recommended, a clean window pane allows UV light to get to your house. Why should you get UV light into the house? o	Provision of Vitamin D– vitamin D offers numerous benefits to the body including reducing the chances of cancer and improving body composition. With clear windows, you are not exposed directly and thus enjoy a healthy supply of vitamin D.
o	Germinocidal Light- UV light destroys DNA in biological contaminants. It also kills proteins that are life-sustaining preventing their multiplication. Simply put, UV light has germ eradication properties. o	Stops the growth of molds and bacteria because it destroys their DNA and curtails their growth. o	Eliminates odor- it eliminates the contaminants responsible for odors in the house. o	Improved indoor air quality– the quality of your indoor air improves through removal or elimination of contaminants. Contaminants like dust hinder direct sunlight from getting into your house. This denies you a chance to enjoy the full serving of vitamin D from the sun. In fact, scientists agree that despite the risks of skin cancer, a substantial dose of natural sunlight will prolong your life, making it happier and healthier. Once the sun hits your skin, it triggers the release of Nitrite Oxide which helps to lower blood pressure and prevents cardiovascular diseases. This lowers your chances of such fatal ailments as stroke and heart attack. The benefits of increased vitamin D or UV light intake cannot be exhausted. Scientists are still discovering and confirming more benefits. This includes reduction in hyperactive immune responses, hypomethylation, better eye sight and mental health. Sunlight also boosts your mood. Do you want to enjoy the best sexual health? The solution lays in increasing your dose of sunlight. To enjoy vitamin D in a healthy and protected environment, live in a house with clean windows. Hire a professional cleaning company like Kitsap Cleaners to maintain the windows to be as clear as possible. Your life will be transformed through the healthy intake of vitamin D and UV light.